He discusses how one small detail derailed the whole project, and how to avoid that in the future. Neil has been a software professional for over 18 years, mostly as a developer, before moving to management. He spent the last 5 years being a passionate Agile, Lean and Scrum coach, trainer and practitioner. Neil cares deeply about creating enjoyable, authentic workplaces in which human potential can thrive. 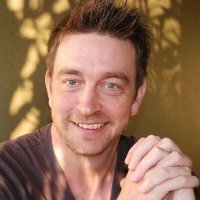 You can connect with Neil Killick on twitter. Neil Killick’s blog.